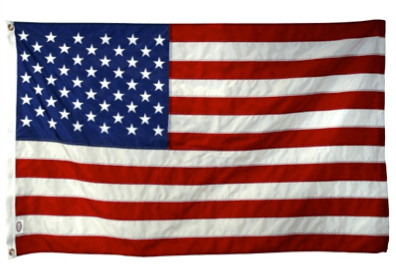 You are here: Home / Life / Who is the Government Shutdown Shutting Down? 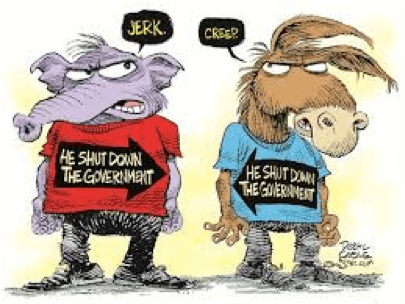 Who is the Government Shutdown Shutting Down? No, it’s not Anarchy in the USA. On October 1st 2013, the United States government was officially shutdown because Congress could not agree on a bill to fund their own government. In a ridiculous game of chicken, neither the Republican controlled House of Representatives nor the Democrat controlled Senate were willing to back down on their claims regarding Obamacare. The House of Representatives passed a bill that agreed to fund the U.S. government only if it did NOT fund the Affordable Care Act, and the President and the Senate refused to comply with this stipulation, so here we all are wondering exactly what a government shutdown is. For starters, put away the bandanas and step away from the pitchforks, it doesn’t mean that all laws are suddenly obsolete. While the effects on the economy and government controlled departments may be severe, the average college student will find only small changes in their day-to-day life. Students attending public colleges still have to go to school because public universities are funded by the state government, not the national one, and homesick students can still expect their weekly letters from home because the U.S. Post Office will continue to be funded throughout the shutdown. Unfortunately, the IRS is still collecting taxes, though they will not be conducting audits, proving that everything has a bright side. Impromptu field trips to national parks or museums, like the Smithsonian or the Holocaust museum will have to be put on hold, however, and students looking to study abroad will have to hurry to get a passport before the funds run out. All in all, the ones who will truly feel the effects of this government shutdown are those furloughed by the government. “Furloughed” is a term referring to the people in various government departments that are deemed “nonessential,” and thus are not required to go to work, and not paid for the duration of the shutdown. The heads of the various committees and departments decide who to keep and who to send on an indefinite, unpaid vacation. This excludes the president, members of Congress, veterans receiving compensation (until late October), mailmen, active military soldiers, and certain other staff in different departments. This leaves between 800,000 and 1 million government employees indeterminately without a job. In the last government shutdown in 1995-1996, most of the furloughed employees were supplied with back pay, but the chances of this are slimmer now, according to J. David Cox, the president of the American Federation of Government employees. There may be even harsher effects than the sudden abundance of unemployed government workers. Despite the dropped salaries of many of the employees, government shutdowns still cost money. The most recent government shutdown cost the American public almost $1.4 billion dollars, and the economy is expected to take a significant hit if the shutdown goes on for longer than two or three weeks. Likewise, the stock market is supposed to drop, but if this scenario is anything like the last one, it will rebound fairly quickly after the shutdown ends. It’s easy to start the blame game in situations such as these, and many people in Congress as well as the president himself have already begun pointing fingers, but that will not end the shutdown (or stop its malignant side-effects) any sooner. Congress should look at this as a potential turning point for their interparty dealings, and hopefully this will be our 18th and final government shutdown.